The Mull Funeral Home and Cremation Services is PROUD of the services and merchandise we offer to those that call upon us AND for the licenses to practice our trade that we have EARNED. Our prices are based upon the recommendation of our accounting firm in order to: remain profitable, maintain our facilities (overhead) to our standards, satisfy the request to pay inordinately high taxes, and to pay fees in order to remain in compliance with Federal, State and Local regulations that are specific to our trade. Our recommended URNS are supplied by the MacKenzie Vault, Inc. These urns are manufactured in the USA! This selection often satisfies the local burial requirement, are practical, and are available in many colors. 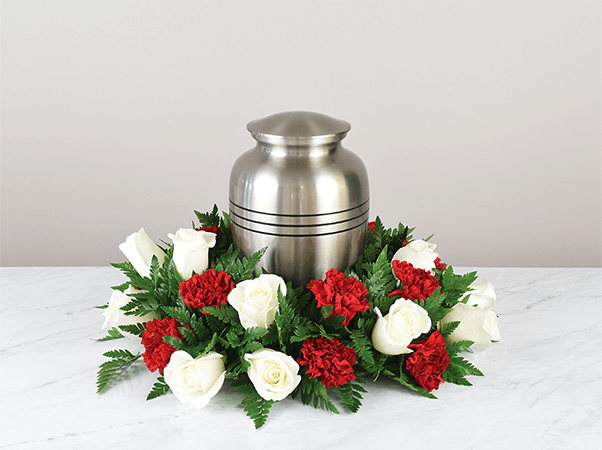 Other styles and types of urns are available by browsing our catalog. Please ask to see a copy!